We received over 100 submissions from 14 countries for our Student Viz Assignment Contest — wow! This week we chose the top three winning vizzes based on creativity, analytical depth, beauty and design, and overall score. Winners will receive a Tableau swag package for their amazing work in Tableau. 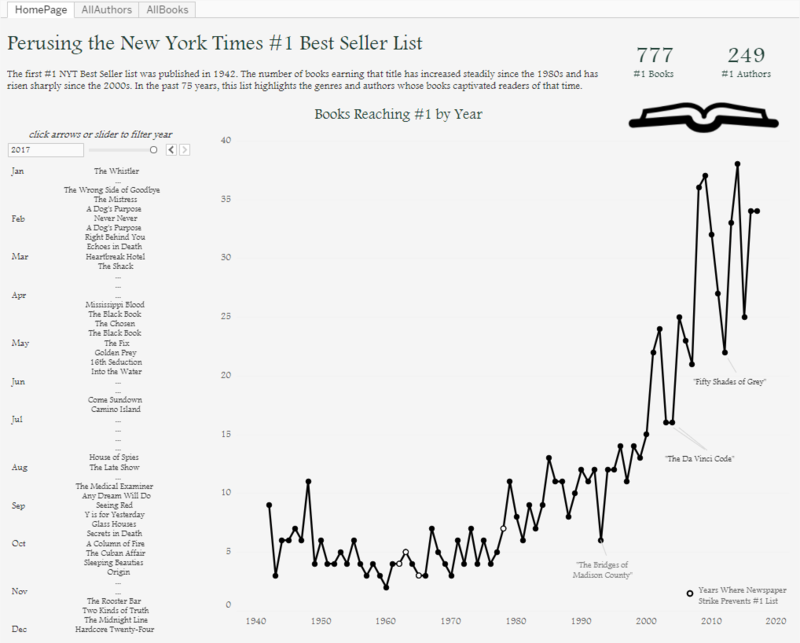 Katie Smith from the University of Washington takes first place with her viz exploring the past 75 years of New York Times Best Seller Lists. The judges loved the choice of colors, variety of charts, and attention to detail. Users can get a holistic view of the number of books reaching #1 by year or even look at each of the books on the Best Seller list by year. 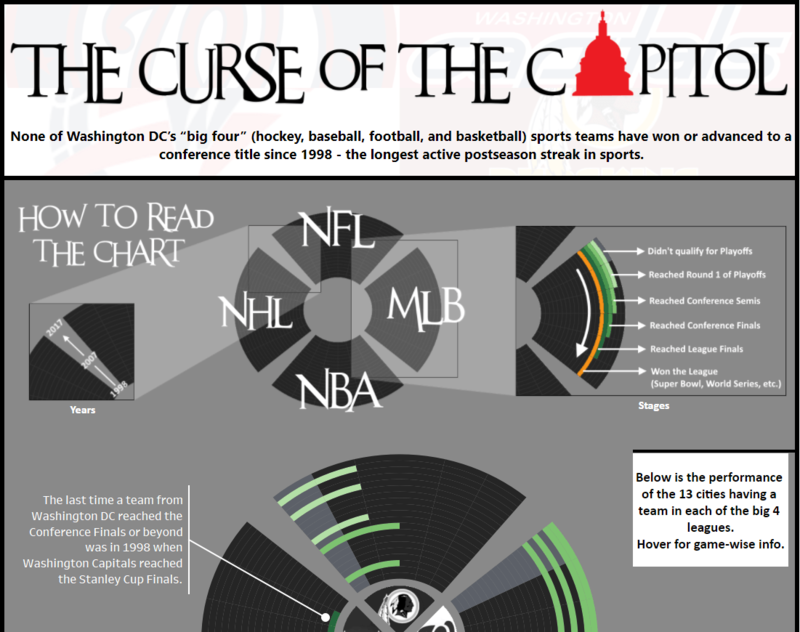 Harpreet’s viz dives deeper into Washington DC’s “big four” sports team and (lack of) advancement to a conference title since 1998. Judges applauded Harpreet for his creativity and clever dashboard design. Check out Harpreet’s Tableau Public profile for some other amazing vizzes! Ankit took a creative approach in wrangling a large data set with over one million rows of Montgomery County traffic violation data. 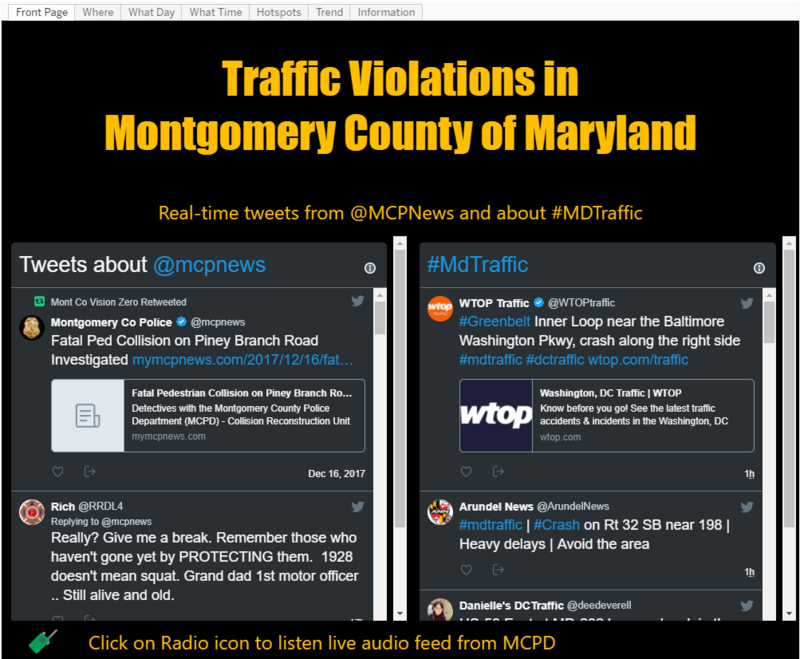 Judges loved his choice of using a bold color palette and embedding Twitter feeds from @mcpnews and #mdtraffic. UN SDGs: How Are We Doing? If you’re a student, you can enter in our next viz assignment contest for your chance to win Tableau swag bags! And don’t forget - you get Tableau for free through our Tableau for Students program. Are you an instructor? Request new licenses for the upcoming term.